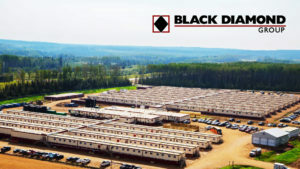 When we started working with Black Diamond in December 2014 a review of their existing investor presentation revealed a number of issues. The content and design didn’t explain why investors should buy and own Black Diamond. Furthermore, an investor perception audit we conducted revealed significant gaps in investor understanding. Investor knowledge about what parts of the value chain Black Diamond worked in and what industries it was exposed to was limited. With multiple investor conferences and road show events just around the corner, Black Diamond’s investor presentation required a rapid redesign. First we removed graphs and content that were irrelevant to the investment thesis. Then we redesigned the information landscape to deliver key information more consistently. By using a consistent grid layout investors know where to look for information. We also increased the use of visuals to explain the company’s business. Finally, we inserted graphics that directly addressed investor misperceptions.